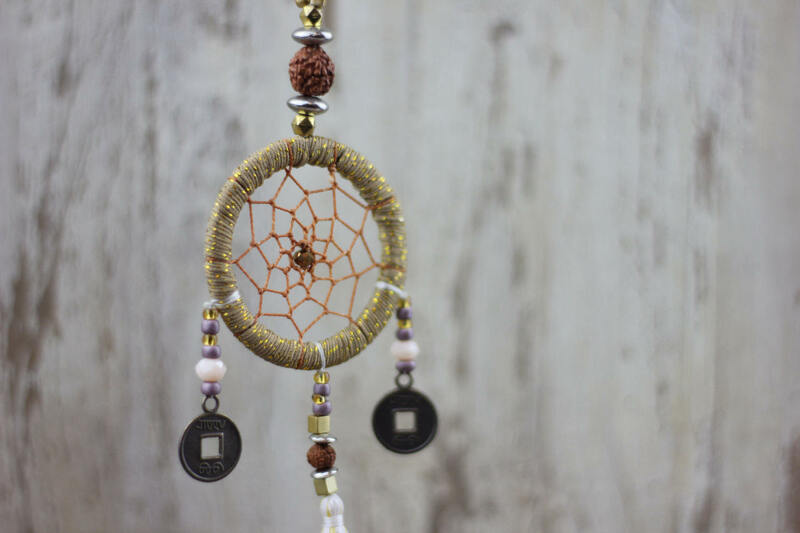 Created out of materials we collected on our adventures in Bali, Indonesia, our handmade dreamcatcher necklaces feature Asian coin charms, which are a symbol of good luck, fortune and prosperity, alongside sacred Rudraksha beads, traditionally used by buddhists to promote life and energy. 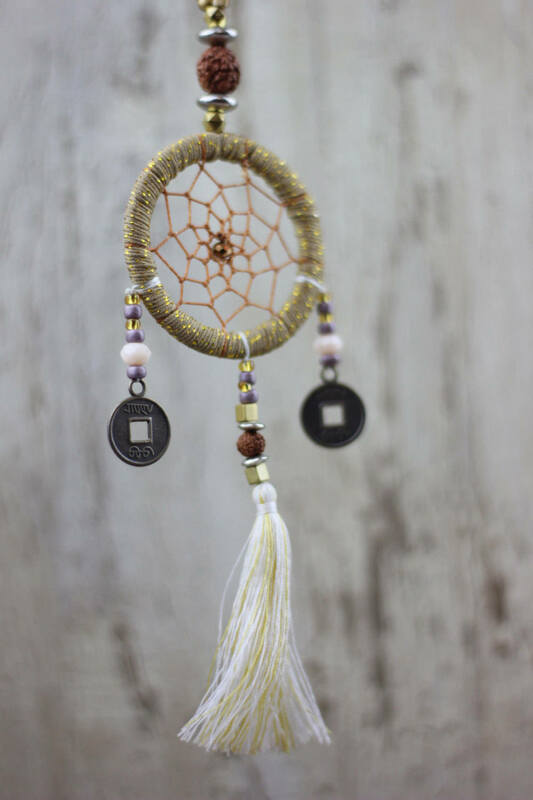 Dreamcatchers have been used for centuries to capture bad spirits and channel positive energies. 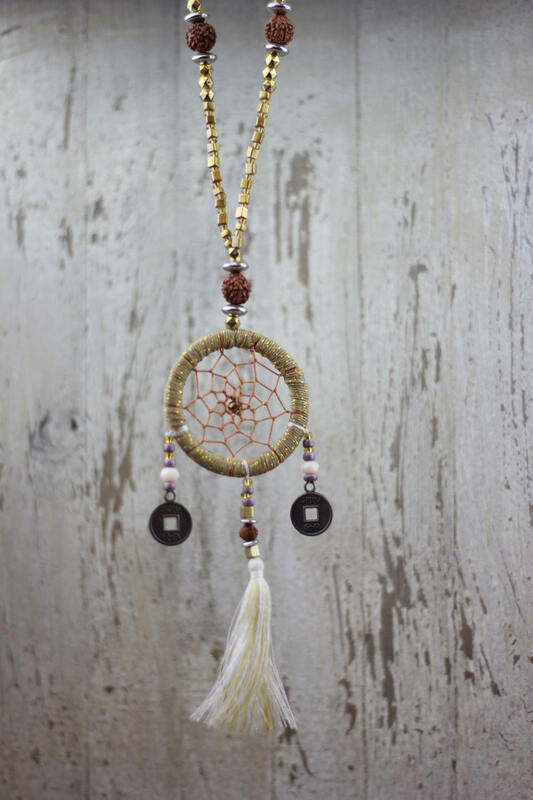 Believed by Native Americans to capture negative dreams and forces and churn out positive vibes these Navajo inspired necklaces do just that! 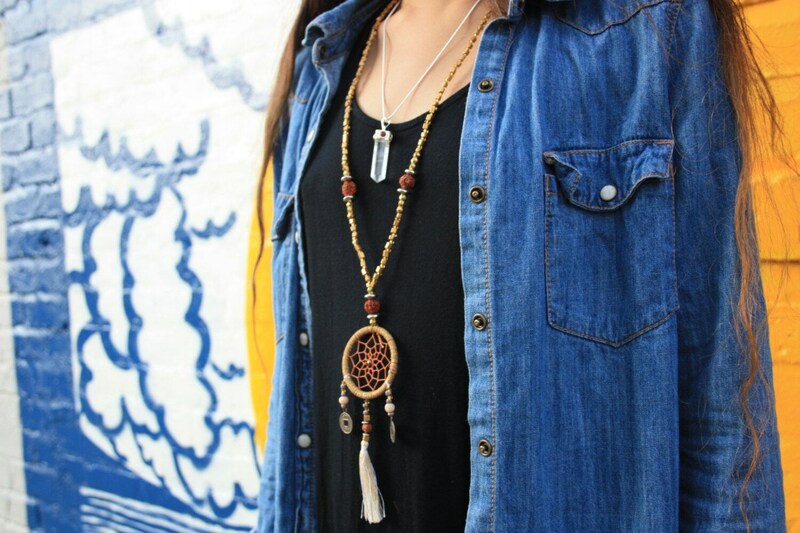 These handmade statement creations are a gypsy dream and the ultimate bohemian accessory. * All necklaces come neatly packaged in organza bag, making them easy to store and great for gift giving.